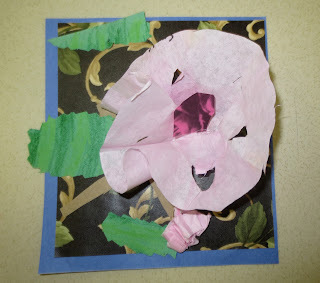 Started this month searching for a rose-themed Valentine's Day art project for my young students. 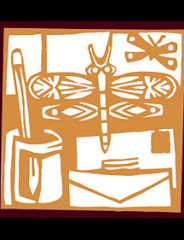 Inspiration arrived with the International Quilt Studies Center and Museum "Quilt of the Month" email. 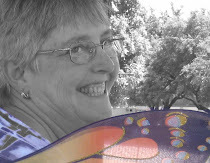 You can search on IQSC's website by keyword, so I looked at lots of rose quilts from various eras. I made a collection of my favorites that you can view here. After more googling, I found the rose image to the left that made the art project click into place. 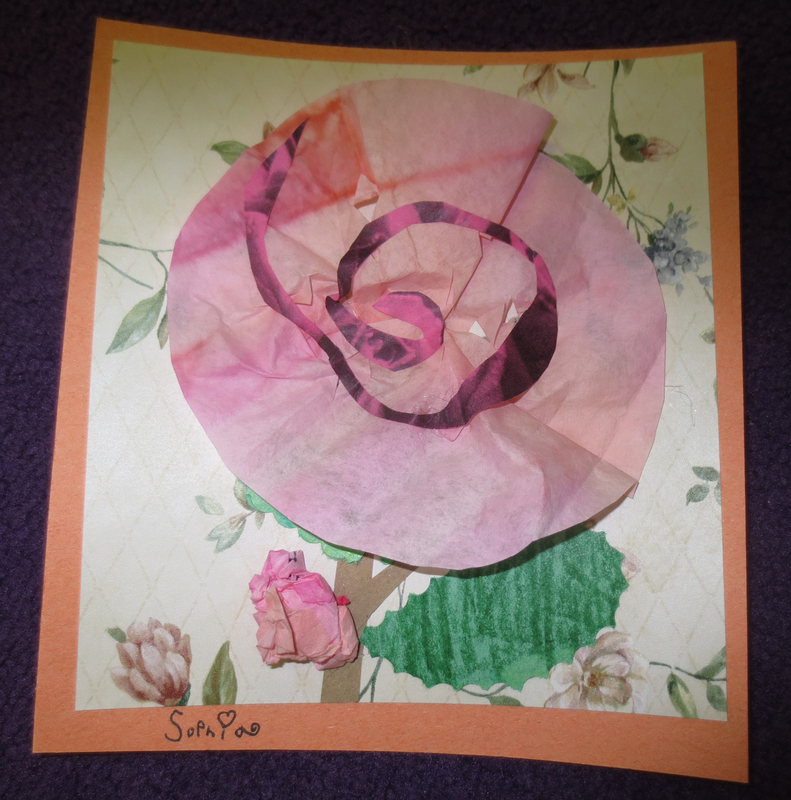 The children were very excited about their rose art. It made a nice gift for their families on Valentine's Day. We dyed coffee filters in liquid watercolors. These are not, I repeat, not made from pastel scented Kleenex. Oh, that favorite kiddie craft of the Sixties! My mom used to get so ticked off when we used expensive Kleenex for something other than sneezes. Yes, people actually carried cloth handkerchiefs when I was a kid. Washed them. Ironed them! That's how little girls learned to iron. Little boys did not learn to iron in the Sixties! At birthday parties we played Drop-the-Handkerchief, and Ring-Around-the-Rosy. We've come a long way, baby, except we make twice as much waste per person as we did in 1960. The average American makes 7.1 pounds of trash a day. Some of my preschoolers make that much just in tissues, toilet paper, Pull-Ups, and juice boxes. Alas. Thanks to Edward Humes' Garbology for the statistics. 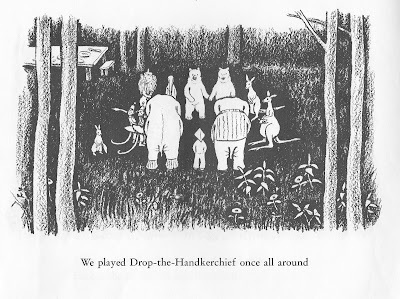 And thanks to Marie Hall Ets for one of my favorite read-aloud picture books of all time, In the Forest. I wish it would be republished, perhaps as a board book. Rose still rhymes with nose, the original reason for the art class theme. 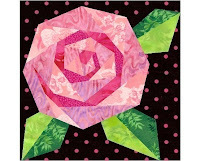 Love that rose quilt! 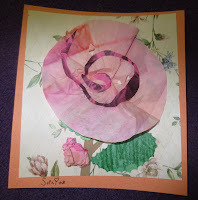 I have been looking for a rose design for a mosaic idea, that might do quite well. Thanks!